Whether you have a brand new car or a vehicle in need of refreshing, vinyl wrap may be the answer. The benefits and cost make it a very good alternative to paint. For high end luxury and exotic cars, you have the benefit of changing the color without removing or damaging the original factory paint, thus preserving the value. 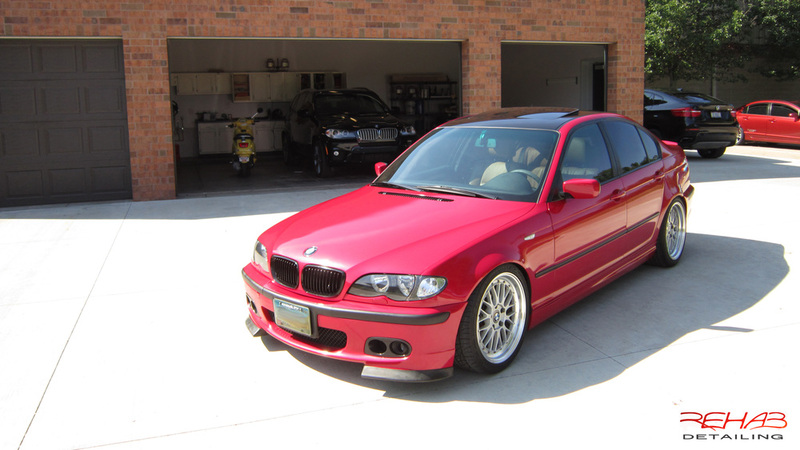 In fact, with the vinyl wrap installed, your OEM paint will be protected by the vinyl. Another great benfit to doing a vinyl wrap is the selection. We offer curently around 5,000 different colors/styles to choose from and new ones are being added all the time. Are you looking for something that really stands out? The gloss vinyl wraps are nearly indistinguishable from paint, they have a laminate gloss layer that protects the colored layer from UV damage and adds tremendous gloss. There are also styles and colors that just aren't feasible with paint, such as brushed metals, chrome and carbon fiber as well as styles like matte, iridescence and pearls that are very expensive to spray on. 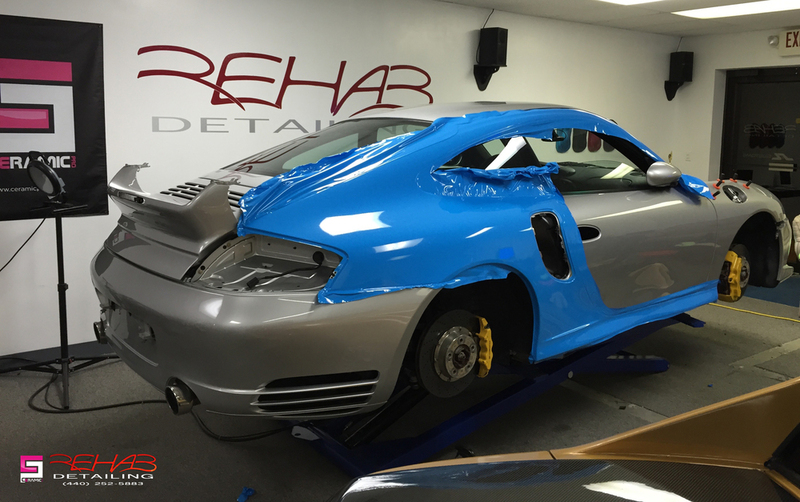 Having Rehab Detailing install a color change vinyl wrap on your car will cost signicantly less then a paint job, you will be able to remove it at any time and it will breath new life or at least a new style into your ride. There is really only one down side to vinyl wrapping... choosing a color! 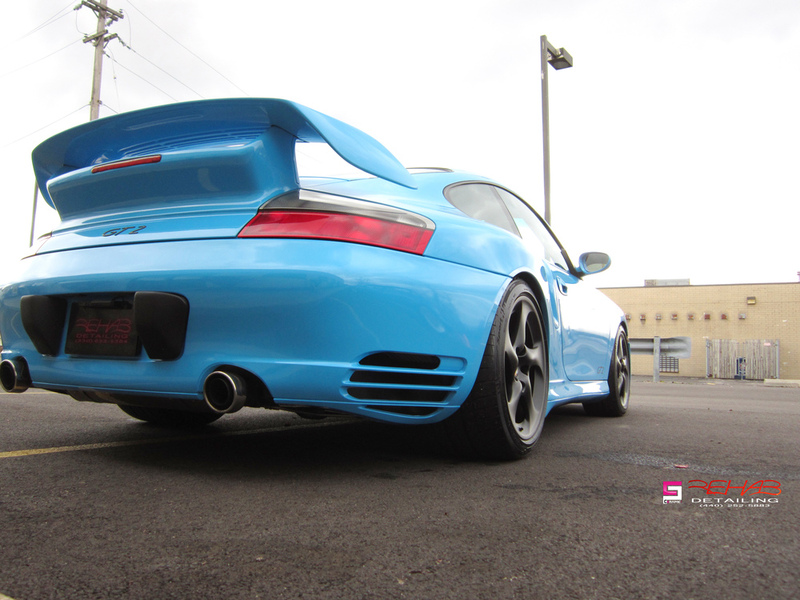 There are many steps to properly completing a full vinyl change color wrap. First we detail the inside and outside of the vehicle including a very quick one step polish to ensure the paint is clean and smooth. Then comes the disassembly, most components of the car including emblems, bumpers, spoilers, door handles, mirrors, trim pieces, etc are removed and thoroughly cleaned. This is a great time to change out emblems and trim pieces to fully restore the vehicle as needed. Then each panel is wrapped and special primers are used in volatile areas such as wheel wells to provide the most durability. Finally we can coat your vinyl wrap with Ceramic Pro glass coating to provide significant hydrophobic properties, UV protection and a long lasting shine (if it's a gloss wrap).